Eclipse Handcrafted Furniture have been manufacturing quality, solid timber furniture for well over twenty years. Unique pieces of Australian hardwood timbers are crafted into unique pieces of furniture that will last a lifetime. Eclipse is well known for their stunning, natural looking and family friendly timber dining tables, as well as their solid timber Entertainment Units, Bedroom Furniture, Display Cabinets, Bookcases, Sideboards and more. BUILDING OUR FUTURE GROWTH ON CHALLENGING THE BOUNDARIES AND CONSTRAINTS OF TRADITIONAL MATERIALS WITH MODERN AND UNIQUE DESIGNS. 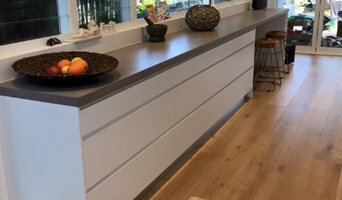 Set in Steel designs and builds polished concrete products such as bench tops, bbq units, furniture and outdoor pieces. All our pieces are custom made to fit the clients needs. Independent dealer in retro and vintage collectables. Manufacturer of all styles of furniture - antique - contemporary - traditional - custombuilt. Authentic Upholstery is a family run business with 16 years of involvement in the upholstery and inside configuration all through Sydney and encompassing suburbs. We guarantee quality workmanship. We give both business and local upholstery rebuilding administrations, obsolescent reclamation administrations and so forth.We give exceptionally expert administration and restore your furniture to flawlessness. We esteem every one of our clients and give a customized support of each client who settles on us their decision. Welcome to Happy Chappy Outdoors! Online outdoor furniture store. Stylish, modern,exceptional quality and affordable outdoor products. Does your outside area need a makeover? Are you renovating or just need to update your outdoor decor? Do you need to keep the kids entertained? You have come to the right place!! We have an amazing range of Wicker lounges and dining settings, Blackbutt Timber outdoor settings, patio settings perfect for small outside areas, wooden garden bridges, cast iron fire pits, kids outdoor play equipment, ride on cars, camping gear and much more. Shop in the comfort of your own home and avoid the hassle of the shops. We offer free delivery to NSW excluding some remote destinations where a delivery fee will apply and also for interstate deliveries. There is a delivery fee for ALL outdoor Wooden Garden Bridges. Our delivery services are extremely fast and very efficient. With a passion for being outdoors with the family, we wanted to provide a one stop shop for all your outdoors needs. We are a family owned online business and we are proud to be supplying exceptional quality products at very affordable prices. Our website allows you to browse our range of products 24/7 in the comfort of your own place. We believe it is important to spend so much time outside with friends and family. To bring your indoor life outdoors. Our online business was established in 2017. We have done extensive research and have provided products of very high quality to last for many years to come. With everyone leading very busy lives these days we are here to help and provide the highest quality in customer service. Testimonial from a happy client:- 30/6/2017: Lisa - "Beyond thrilled with my purchase of the bench seat. I ordered it on a Sunday, Monday was a public holiday and I received it on Tuesday! Ridiculously fast delivery! The ordering and payment process was painless and the communication has been fantastic. I feel like more than 'just another customer'. Highly recommend Happy Chappy Outdoors''. With a passion for minimalistic design, social equality, and sustainable living, we strive to encompass these ethics into the designs, and products produced from Stylo Enterprise. Emma's Design is offering superior level of shopping experience to the customers. Emma’s Design does not offer lots of products to get the attention of customers. Other companies are bringing you zillion of products, but when you try to purchase, you get disappointed. You see “out of stock”, “discontinued” messages and products that do not match the description. We want to offer you more freedom as a customer so that you can shop confidently. We aim to provide unique home décor and furniture products from our designers’ network. We can promise you one thing for sure, each and every item sold by us is completely unique. 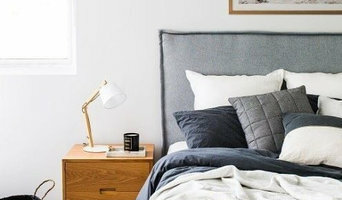 Whatever your situation, it’s always a good idea to do some research before visiting a Wollongong, New South Wales retailer or furnitures stores you find online. Start your research right here on Houzz. Read through Wollongong professionals’ profile pages to find out location info, look at any photos of their work and check how long they've been in business. Read any reviews by design professionals and find out which furniture makers offer the best customer service. 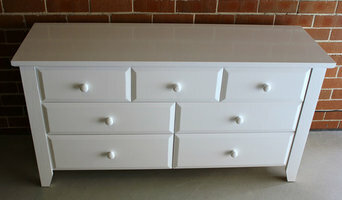 If your style or New South Wales space is unique, it will be wise to consult a custom furniture maker. Here are some related professionals and vendors to complement the work of furniture & accessories: Interior Designers & Decorators, Artists & Artisans, Kids & Nursery, Wardrobe Designers and Professional Organisers, Bedding & Bath. Many New South Wales home furnishers offer interior design consultations or room planning guides to get you started. Whether you decide to work with a home decor specialist or to become your own expert, it’s important not to rush the furniture-buying process. Visit plenty of Wollongong, New South Wales showrooms and stores so you can feel comfortable with your purchase. Find furniture and accessories manufacturers, showrooms and retailers on Houzz. Narrow your search in the Professionals section of the website to Wollongong, New South Wales furniture and accessories, then choose the nearest metro area for showrooms and retailers. Or you may want to look through New South Wales photos to find designs you like and contact the furniture manufacturers and showroom galleries directly.